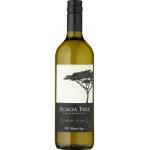 The Acacia Tree Chenin Blanc : a white wine from Western Cape produced by Acacia Tree based on chenin. Uvinum users evaluate this white wine with 4 out of 5 points. What are the opinions of other vintages or volumes of Acacia Tree Chenin Blanc?